The Gulf State is suffering a year-long blockade by Saudi Arabia, the United Arab Emirates, Bahrain and Egypt which cut off all diplomatic, trade and transport links. Ooredoo announced that the company has reached another world-first milestone, with the delivery of the first live 5G home broadband devices. The devices, which are currently being tested on Ooredoo’s 5G network before distribution, will work on both the Ooredoo 4G and 5G network and can achieve speeds of up to 2 Gbps, that’s 20 times the speeds of Ooredoo’s 100Mbps fiber. With an Ooredoo 5G connection via the 5G home broadband device, Ooredoo customers will be able to download movies in seconds, seamlessly stream VR gaming experiences and video call like never before. 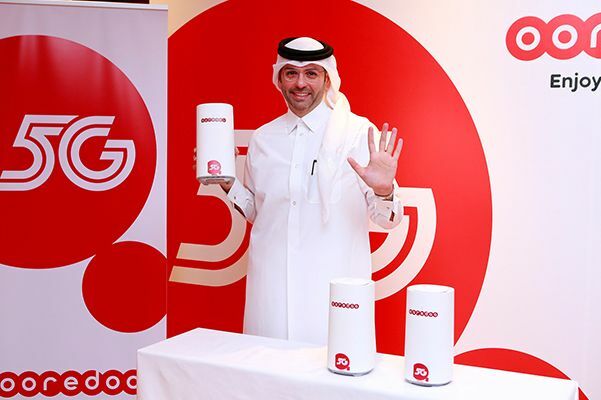 The company has announced that currently there are only a few 5G home broadband devices in the world, however Ooredoo is working to acquire more stock in the very near future. As commercial production increases alongside the 5G roll-out, Ooredoo will aim to ensure Qatar is the first country to enable this next-generation technology for its customers. Since the announcement of the first live 5G network in May 2018, Ooredoo has begun an intense 5G network roll-out plan across Qatar, with the aim to update 100 network stations to 5G, in the 3.5GHz spectrum band, within the next three months. The current live 5G sites, which include West Bay and Katara, have demonstrated an impressive speed of 2.51 Gbps with an extremely high throughput and low latency. Thanks to these results, Ooredoo is working to find 5G compatible devices from across the world to test them on the network, including next-generation Internet of Things applications such as smart cars, VR, AR and drones.